Whether it’s your first, second, third, or ninth water pipe, the Neu silicone pipes are worth looking into. 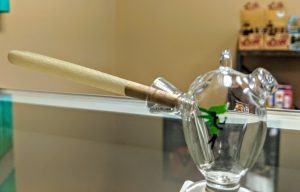 The vast majority of the pipe is unbreakable, making for a worry free smoke session. Each comes with either a glass, or ceramic bowl so flavor stay true. If you’re concerned about breaking your pipe, silicone gives you peace of mind with zero compromises. Tsunami glass has been a long time favorite of our staff. Their pipes are beautiful, and always function exceptionally well. 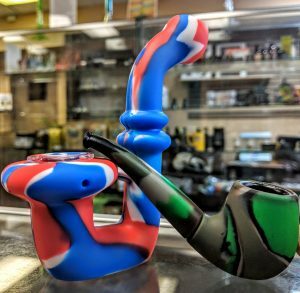 Each pipe we carry has a minimum of two percolators for a cool draw. 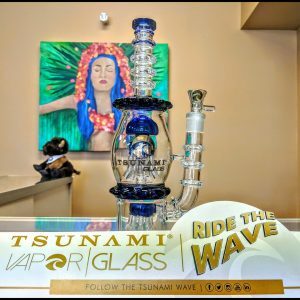 For a top-notch traditional water pipe Tsunami is the way to go. Most range $100 – $150. 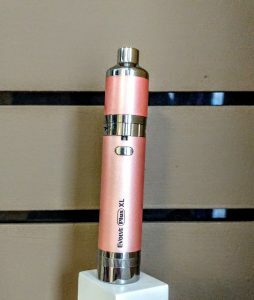 If you are in the market for a vape pen that can handle larger quantities, the Yocan Evolve is the pen for you. The coils have a massive reservoir, as well as an extra storage container on the bottom. It has a long lasting battery that can usually hold on for a full two hours of consistent vaping. Multiple colors available, running $33.99 each. Although the RoadRunner has been on the market for a while, it’s still one of the top pipes available, mostly due to its simplicity. 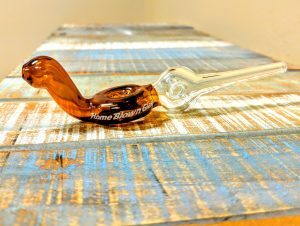 For anyone searching for a classic, small sized pipe, the RoadRunner is perfect. It’s compact, and even includes a silicone storage container in the package. If all these vapes are still feeling a little too high-tech, the Martian offers a new take on an old classic. Fill the Martian with a small amount of water, and pop in your own rolled RAW paper! 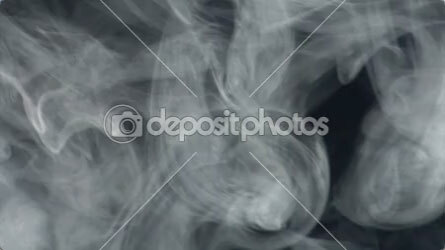 Make smoking hand-rolled cigarettes smoother, and cleaner. A small device that should be a staple in every smoker’s kit.